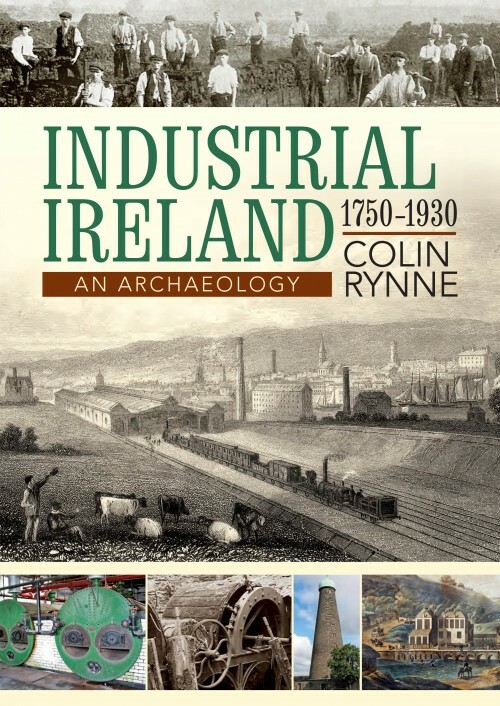 The excellent Industrial Ireland: An Archaeology has just been reprinted in a soft back version and to celebrate the good folks at The Collins Press have given me a copy to give away to one lucky reader (see below). Still the definite publication on Ireland’s recent industrial past, the book investigates a huge range of sites, including mills, canals, railways, ports and distilleries (amongst others). These are examined in detail and the technologies behind them discussed, with consideration given to important surviving sites. The book is written by Dr. Colin Rynne in an accessible style and is beautifully illustrated with numerous colour photos, maps and diagrams. A publication you can dip in and out of as you please, it remains an indispensable accompaniment to anyone interested in Ireland’s rich industrial heritage. Competition: I have one copy of the excellent Industrial Ireland: An Archaeology to give away. To enter just leave a comment below (all comments have to be moderated so it might take and hour or two for them to appear). I’ll then pick a winner out of a hat (closing date from entries is 6 pm on Saturday 19th of September, the winner will be notified on Sunday the 20th of September). Well, it’s nearly 8:00 am over here in the colonies, and I’m seeing no comments, so I’ll throw my hat in the ring. Love this page. Goes well with a cuppa tea. I’m in. Comhghairdeas Dr. Rynne. Hey Colm, I think this will direct me to some wonderful photography sites, along the lines of Ouse Viaduct the pic I shot recently in Sussex. Sounds like a great book! Industrial archaeology & Irish archaeology are two of my favorite things. I’ve preserved a c.1900 lineshaft shop at my house, and have written about earlier industrial sites in the area. Would absolutely love to win this book. Just started following you and loving all the great information! Looks like an interesting read! This would be a great read. Love this blog! This book would be a great help for college! This would help greatly with my research and current restoration project. (see link) End of cheecky plug, but i really do want it! I would heartily love to read this book and hope it is ok to get it sent to Australia. I’m in Fremantle WA where Irish born engineer C.Y. O’Connor was instrumental in revolutionising the harbour and in transporting water through a massive visionary pipeline through the state of Western Australia. Thanks for flagging it anyway. If I don’t win, I’ll be buying a copy for someone special. You Moulting Desert Ram….I’d really love one :). This will be a awesome prize and book to read. Would love to win this book. Colin was my lecturer for Industrial Archaeology many moons ago and was always so engaging! I’d love to read this book. Thx for the great website – I’ve learned alot. Now whats all this about archaeology after 1750. This is Ireland, its not archaeological if its not at least 300 years old!!! That’s Drogheda on the front cover, the terminus of the Dublin & Drogheda Railway from D’Alton’s ‘History of Drogheda’. That building appears to have been demolished at an early date as I’ve never seen any other depiction of it. Congrats Kieran, you are our winner 🙂 Check your e-mail, Colm. Yay! Put my name in the hat please! Sounds like a very informative read, will have to get a copy either ways! 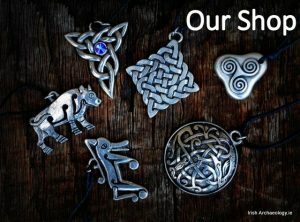 Fantastic site, I am learning so much about Ireland & how my ancestors might have lived. Helps with my surname geology search! Lots more to do & learn! Love it, thank you! Interesting did not think we had much of industrial archaeology here in ireland. Looks like a really interesting book. Was not aware of it before. Never win anything but here goes anyhow (maybe because I hardly ever enter competitions!). Brilliant site! I would really treasure this brilliantly published book. Excellent and well done. Colin great to see this book on industry on the whole island..We were always led to believe that the northern/ Belfast area was the only part of our fine land to have any industrial significance..maith thu..it will be a great read..thanks..
A monumental work – an essential element in any self-respecting archaeologist’s library! It is nice to see Drogheda featured on the cover. Ireland’s history completely overwhelms me, so I probably shouldn’t win a book on industrial archeology before I sort out the whole Cromwell/Henry VIII/Elizabeth thing. Congratulations to whoever does receive the book (and I’ll eventually find a copy to read). Thanks! Would love this book, I love learning about Ireland’s past! Good morning from The Colonies 🙂 This would make a great Christmas present for my oldest child who is majoring in history. Colin was one of my lecturers many years ago. I saw this in Hodges Figgis the other day and really wanted to buy it but it just wasn’t in the budget. Looks fascinating. Thanks for the chance to win! A very interesting subject. Does anybody know of a book describing the decline of Irish industry from the 1930’s on? As someone who recently graduated with an archaeology degree and was accepted to a masters in Oxford (which sadly I could not afford to accept), I would love this book as a way to keep close to my passions. Currently have a full time job, but hopefully I can still be involved in the thing I love. Please count me in. Have not heard of this book before. If I don’t win I will def. put on my christmas list. The book looks as if it will be as fascinating as all Irish history has proven to be. I’d love to win it to study and add to my collection of Irish history books. The Irish Industrial Age has been a hole in my study of the history of Ireland of which a great deal is accessible from the Iron Age, Bronze Age, and so on through the Middle Ages up to the Celtic Tiger, but not much attention has been paid to Ireland’s industrial years. So this would present my opportunity to learn of that period of time. I hope to acquire(win) the book, and add to my knowledge of my favorite country’s history. Have been following your blog and the precursor for a few years now and sending it on to all my contacts here in the US, both Irish and Irish-American, ca. 440 people; just passing on “The Love” of Ireland’s rich culture. Soak up archeology like a sponge soaks up water. Send me the book! It would be nice to receive this book to further my knowledge of this period in Ireland’s history. I am currently researching the linen industry, Irish Scots/Scots Irish. 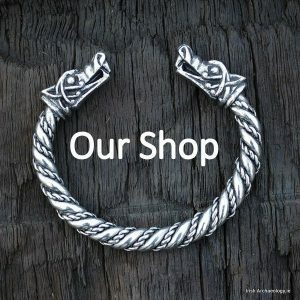 I am also looking for registers for blacksmiths, and a couple of other things. I think that this book help me immensely. another colonial. Looks like an interesting book. Why not, I’ll take a punt, assuming the offer extends to the west side of the big pond. Would love to get my hsnds on this! The Industrial Revolution changed the world for ever. Some good things, some bad – but in it we as a species changed. No going back. However we can ‘moderate’ our changes now and the rate of change – especially by learning from past mistakes. My mother was wont to say “We can always learn from someone else, if only how not to do it”.